Developed and directed by Chris Burke, Poseidon is a culmination of ideas and plans built over 13 years, since Chris first began teaching watersports in 2002. Having learnt to kite 2 years earlier, it was the freedom of the sport that led his focus, and through a series of teaching seasons; he found his way around the world teaching for different centres, before settling in Poole. Having been noticed for his own riding skills, Chris signed several national and international sponsorship deals throughout his career as a professional athlete. Within the discipline of ‘wakestyle’, Chris’s unique technique and ability to perfect technical tricks, secured him worldwide victories, public event invitations and press coverage across the kiteboard industry. 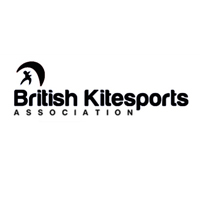 In later years, his skills as both a rider and instructor were recognised by the British Kitesports Association, and in 2008 he was invited to become a national coach, integrally involved with the development of youth training and British ‘wakestyle’ events. After some time working with the design team for a Hawaiian kite company refining pre-production equipment, Chris then launched his own plans and set up Poseidon in 2013. Nowadays, when he’s not coaching and developing ideas for the school, Chris spends as much time as possible shredding local secret spots, still feeling the stoke that got him hooked. We’re a tight knit crew made up of a range of ages, skills, talents and passions but, all in all, our love for kiting is what brings us together both at work and during play time too. Always on the lookout for like-minded grafters that want to experience the best of the industry, the list of traits we look for include being a team player, having a flexible approach to timetabling and most importantly a willingness to work hard when the wind blows. With our own rigorous staff training regime, there’s no need for any experience as we welcome all levels of skill and availability. And in terms of what else we can offer aside from the highest level of training in the UK as well as healthy earning potential, there’s also a package of perks including free use of school equipment, opportunity for riding support and the chance to travel with us on Poseidon trips both close to home and abroad. Keen to join our crew?